If you're looking to bring your illustration skills up to a professional level, but don't have access to an IRL art school, check out these cool art classes below. I've collected a range of classes at different price points. Most of these online schools offer both self-taught courses and guided courses. Self-taught means a bundle of downloadable videos, PDFs or other materials that you use to teach yourself in your own time. No instructor interaction. Guided means that there may be scheduled live chats, assignment deadlines, an active forum or other ways for you to receive feedback from instructors and/or classmates. Skillshare - This website offers online classes on a wide range of topics, not just art. Offers hundreds of free self-taught classes as well as a "premium" $8/month option, which gives you access to an unlimited amount of classes - including cool stuff like Character Design with Charlie Bowater. Classes contain videos, assignments, and forums where you can post your work. The Lamp Post Guild - currently offers four self-taught classes at $99 each, from illustrious artists Justin Gerard, Cory Godbey and Chris Koelle. The Oatley Academy - offers both self-taught and guided classes on the basics of composition, storytelling, digital painting and more. Self-taught classes are currently $17 per month. Guided courses are price-on-demand, and require an "audition." Art Business Bootcamp - The only class on this list that focuses purely on the business side of art. Self-taught with access to an exclusive Facebook group for $197. The Illustration Department - various options for one-on-one mentorship from senior art director Giuseppe Castellano, focusing on children's books. $100-$300. Tutormill - guided classes on book and editorial illustration, taught by professional illustrators. At $300 per class. School of Visual Storytelling - classes range from $450 for a live twice-weekly class, to $20 for instructional videos. Topics are oriented towards children's books and animation. Art Camp - run by Noah Bradley, a self-taught course with access to a student forum. Topics include basics of painting, landscapes, and concept design. Prices range from $250-$495. Schoolism - boasts some pretty big names for instructors, including Dice Tsutsumi, Stephen Silver and Sam Nielson. Self-taught courses are $144 and guided courses are about $1000. SmArt School - an online school run by fantasy artists and art directors. The quality of work that comes from the students is impressive, and the instructor lineup is top-notch. Plans range $595 for an "auditing" option, to $2500 for the "full intensive mentorship" option. 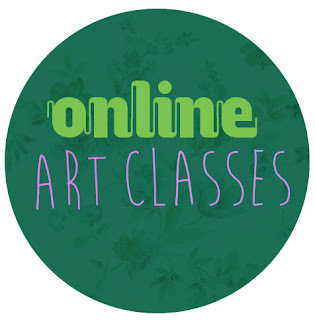 Have you taken any of these online classes? I'd love to hear about your experience! There's also a great Art Business one I've been taking from Chris Wilson called "Zero to Illo." It teaches business terminology, and focuses on creating a targeted client list! I'm also in the Oatley Academy and Art Business Bootcamp. Enjoying both quite a bit, with particular favorites being "Storyteller Summit" and "Escape from Art Jail" from Oatley Academy. thank you so much for this awesome list! i love skillshare, and while i haven't signed up for SVS i've watched some of their online critiques (which are public) and they're pretty darn great.